Microsoft has finally launched Surface Pro 4 (128 GB, 4 GB RAM, Intel Core i5) at $999. Update: Looks Like Redmond Really Is Launching The Surface Pro 4 Alongside Windows 10. Only yesterday we informed you about Apple and its suppliers speeding things up on the 12.9 inch iPad Pro. After the 5.5 inch iPhone 6 Plus, the iPad Pro is going to be the company’s first foray into larger screened tablets if the rumors and leaks so far are correct. It will also be targeting Microsoft’s Surface Pro 3 if Japanese sources that have also provided information about the device’s thickness and specifications are to be believed. Well looks like Microsoft’s looking to make a comeback of its own, with information about the next Surface tablet, the Surface Pro 4 having popped up today. Microsoft Surface Pro 4 Expected Next Year With Intel Core M And Windows 10 On Board. With its debut of Windows 10 to developers this year, looks like Microsoft isn’t done yet when it comes to its Surface Pro lineup. Previously the company was rumored to be discontinuing the lineup after the second and third generation of the Surface lineup had cost Redmond massive losses of around $2 Billion. Well it looks like Microsoft is looking to give Apple tough competition next year, with the company allegedly having plans for the Microsoft Surface Pro 4. According to the Chinese, Microsoft is expected to debut the Microsoft Surface Pro 4 next year, and the company is expected to provide competition to Apple with the latest iteration in its Surface lineup. 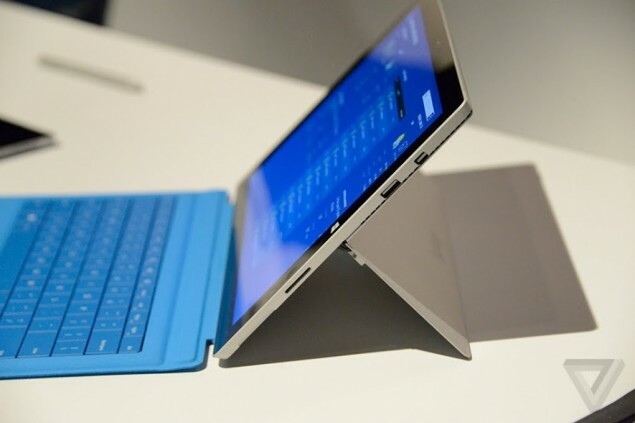 The Surface Pro 4 is expected to come with a resolution similar to the current Surface Pro 3. The device will also be launched in 2 versions and will have a screen size between 13 – 14 inches.The Surface Pro 4 will also be priced lower than the current Surface Pro 3 in order to attract more customers. The Surface Pro 4 is also expected to come with Intel’s latest Core M processors and the company is also expected to launch the device with Windows 10 on board, which should end up providing better touch capabilities and features. Nothing’s for sure yet, so lets wait for Microsoft’s next Windows 10 event scheduled to be held in January next year. Sounds good? Let us know in the comments section about what you think.